i've been cutting so much volunteer lamb's quarters and the wild green amaranth out of our main garden area that the kale i cut goes bad in the fridge...none of the wild stuff is near flowering yet, but it's big, some stems nearly a centimeter in diameter, and i've found that the stems and all can be steamed, and the stems act like asparagus, super tender...nice. i'll reach for the bag of 'weeds' in the fridge 3 out of 4 times i go for greens, go figure. the year i get nothing but thistle volunteers, that may change, but I'm beginning to get the impression that if i applied myself to scavenging the neighborhood's waste plants, i wouldn't have to plant greens at all until late summer, when the 'weeds' are finally going to seed. Are you people actually telling me that you can eat pigweed??? How would I know that we are talking about the same thing? GrandMomMom - Zone 8b Ã¢â‚¬â€œ Love your Planet, your World, and your Life! if you're talking about this stuff, we're talking about the same thing, and IT'S DELICIOUS. Thank you so much for the picture of the plant in question! I really think I am going to like this site! Pigweed, that's interesting; I'll keep my eye out for it. And lambs quarters, that's one I'll put in my garden next year. I've seen the name for years but, I think I'll plant it now. Do you have Seedy Saturdays in your region? ?....not that i know of. Oh, to bad. they are great places for getting seeds, information and the like. Try looking it up on the web. lots of seed/plant swaps around here, mostly in the spring/early summer....preliminary web searches suggest there isn't any particularly 'seedy saturday' type thing going on. Well they tasted good cooked with brown rice and I'm still here. Anyway, this website also provides description on how to harvest the seeds. While paler seeds may be preferred for eating, it's not true that they are inedible. 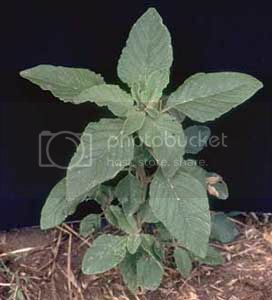 I've eaten amaranth seed from wild amaranth and from vegetable amaranth. It needs to be cooked whatever the source and whatever the color. And cooking is principally to make the nutrients available for digestion. I've roasted and ground them for flour or cereal use, and added whole to breads and casseroles. Thanks, thanrose. It IS important to emphasize the safety cautions. They sometimes get lost or forgotten in enthusiasm. I like the mnemonic you gave -- very easy to remember. Yeah, it certainly made me look again. But I've been wild crafting a couple of Amaranth spp. for years, and have grown a couple of others. I think it was only spiny amaranth that I ate in New Jersey 40-50 years ago, but I didn't have loads of reference material back then.